The samples are written for the android platform (more specifically, we’re using RxAndroid), but they could (theoretically) easily be ported over to other languages. I’ve created a gist regrouping the full implementation. ReactiveX ( RxJava, RxAndroid, RxJS, RxSwift, Rx.NET, etc. ) is a powerful framework for functional programing (oh, how wonderful!). It’s a change in paradigm. By pushing events/objects down a stream of functions, we acquire a lot of freedom when it comes to handling those objects. It’s a comprehensive set of flexible and composable tools, allowing us to implement complex logic concisely. Here’s a good starting point: Grokking RxJava by Dan Lew. We’ll start by admitting the existence of a webService.getApiData() method returning an Observable<List<Data>>. When it gets a response from the api, it’ll emit it’s result down the observable stream. Handily, Retrofit supports Observables as a return type for it’s interface declaration (see here). Blocks of code wrapped in an Observable can trivially be run on a thread of your choosing. You can also trivially set the thread you’ll be receiving the response on. //Execute api call on secondary thread. // do something with the list. // The compiler needs us to explicitly declare the transformer’s input and output types. Hmm… each subscriber will re-trigger a new API call. We don’t really want late subscribers to retrigger the API call. It would be wasteful and time consuming. The first step will be returning the same Observable instance: dataObservable. That however, is not enough to prevent the new triggering of the api call. Each new subscriber would trigger one. The second step then, is to make this observable a ConnectableObservable and replay the previously emitted result. Note that this allows you to trigger the api call, and only later attach the view to the result. How to? We need a hook. No, not a hook; a Hook. A Hook who’s going to run amok and break the Neverland cycle and bring us back to the real world, where we actually get things done! Setting dataObservable to null won’t work because that means the early subscribers won’t be receiving the new data (they are subscribed to the original observable). Re-triggers the source observable when specified Observable emits an item! Subjects are observables as well as subscribers. They can both take and emit items. 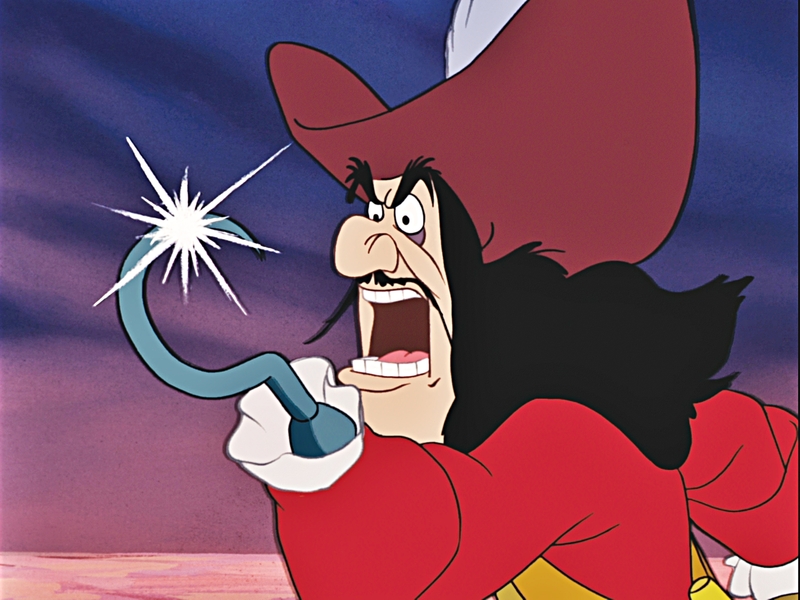 Every time we call hook.onNext(-1L) we’ll be emitting an item; which will trigger the repeat. We’re close! Let’s let the clock do our ticking and we’ll have some polling! // Repeat every 5 minutes. // tick, tack, tick, tick, t..
.mergeWith(hook)) // <<<< Tick-Tock! surprise! To merge the interval and our hook, they need to be emitting the same type of objects. Thus the Long. I made light of this previous polling segment. There is however, a fatal flaw to the replay mechanism we’ve set up so far. With the above current code sample, any Exception will actually break our .replay() capability, and unsubscribe any subscribers. Observables have this really nice capacity to easily catch any exceptions from upstream, and handle them in the subscriber. That capacity however, is really only actually meant for unrecoverable errors. In our case, there may be exceptions thrown by the API (or by some internal services), that won’t be catastrophic failures, but might just be caused by connectivity issues or system downtime. Should we re-subscribe every time that happens? Can we reasonably and scalably handle that? Maybe, but ouch, and it’s the wrong way to handle recoverable errors anyway. So how can I catch errors without finalizing the stream? This operator will catch an error, and instead of calling onError (thus finishing); it will pass control of the stream to another observable. That observable can just as easily simply transfer the error down, query the api for something else, or query the local datastore. Still not that simple. Downstream we’re expecting an object of type List<Data>. The error is of type Throwable. We do need send that error down and let the subscribers know what’s happening upstream. How about encapsulating an error or result in a templated object? A Wrapper<T>? // Retry a few times before letting an error through. // If the server is unreachable, let the subscriber know. // The user may be able to do something about his connection. // Recoverable error - transmit error without breaking. // In case of an unrecoverable error, let it end. Unit testing with RxJava and RxAndroid is remarkably simple. The difficulty would seemingly be in thread control. For testing, instead of a normal Scheduler, you can use a TestScheduler which gives you control over its execution. Use testScheduler.triggerActions() to run all observables assigned to it and testScheduler.advanceTimeBy(5, TimeUnit.SECONDS) to advance its clock. Instead of directly using Schedulers.io(), inject a build-specific scheduler into your service. Observable.interval can take a Scheduler as third parameter. By providing a TestScheduler there and keeping a hook to it, you’ll be able to trigger the intervals at will. It took me a while to trim this algorithm down. I had to keep reminding myself that I needed to think in terms of the best user experience I could possibly provide ( within timeframes of course ); think beyond the limitations I traditionally would have had. What are all the things that should, could, might be happen? How can we fit all of that in just a few lines of code? Remember/Imagine what it took to write code supporting all that functionality? Have you ever considered actually supporting all those use-cases? Late connections alone would be quite the dragon. I’ve come up with one skeleton implementation. Consider that on top of that, you might want to have some data-persistency, some enhanced connectivity handling, paging, etc.